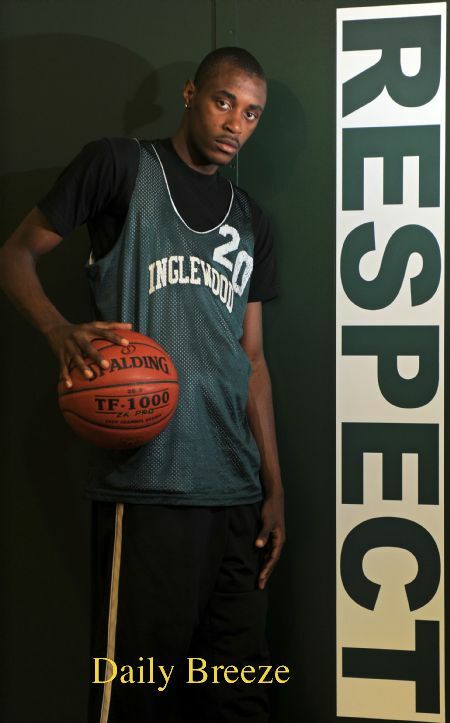 AVC announced that Julius Bilbrew, 6’3”, 170 shooting guard from Inglewood High School has joined the Marauders. Julius graduated in 2011 and signed with Fresno State University. Bilbrew was unable to enroll at Fresno State after running into issues with the NCAA clearinghouse and has decided that he would join Antelope Valley College. Julius is long and is very athletic and is known for his ability to get into the paint. The following video gives some idea on his speed and athleticism. ESPN senior college basketball recruiting analyst Dave Telep has described the 6-foot-3 shooting guard as an inside presence as well. Bilbrew guided his Sentinel basketball team to a 26-8 mark that saw a regional semifinal appearance versus La Canada, w here he scored a season-high 28 points despite the 60-50 loss. He also scored the game-winning jumper versus Price-Los Angeles in Inglewood’s previous playoff game, which was 56-55 Sentinel victory and a contest where he had 27 points. Julius averaged 13.1 points per game and was also effective near the glass, with an average of 6.5 rebounds per game. He reached past the 20-point mark eight times during his final prep season. Julius Bilbrew, 6’3”, 170 is one of those players that takes your breath away. Not known for his defensive skills, “Juice” has really bought into Coach Taylor’s defensive sets and looks to be AVC’s defensive stopper along with being their leading scorer as well. He is extremely fast, quick, thunderous dunk artist and out side shooter. His team mates are still getting used to his rocket passes and he might just average 4+ rebounds/assists a game. Very little Bilbrew cannot do. The best thing Julius has learned this Spring/Summer is giving up some tough shots to feed his open team mates. Special player! Left team and school. Unhappy with playing time.